That freeway serves a trivial share of Singapore’s travel demand. I’ve written about the why cars are a bad fit for cities in the past. While technologies such as automation and electrification may offer improvements in safety and environmental impact, the spatial requirements of automobiles will always be at odds with the spatial limitations of cities. Cities in the United States have an estimated 8 parking spaces for every car. Automobiles take up a lot of space just to store, and require even more space on streets to move and be useful. 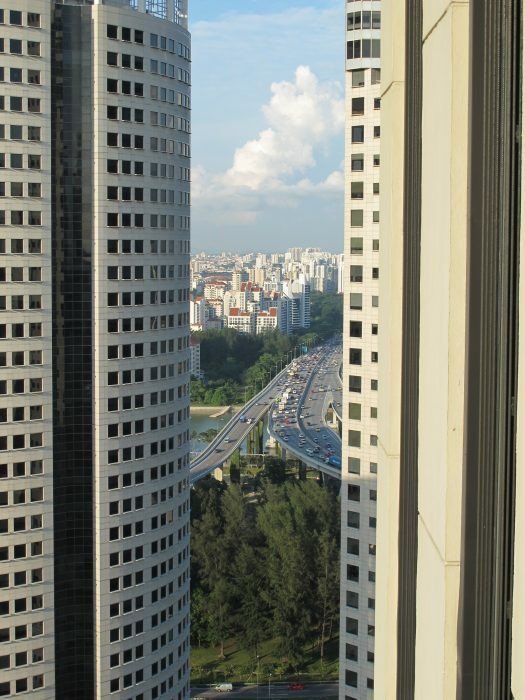 As one of the most densely populated cities in the world, Singapore has already devoted 12% of its land area to roads and there is no room to add more. Their updated policy to cap the total number of privately owned automobiles, including those used for ride-hailing services such as Uber and and its Southeast Asian competitor Grab, isn’t what some commentators may decry as a “war on cars”. It is an acknowledgement of the facts of geometry. Cities, by definition, have relatively little space per person. Cars take up a lot of space per person. For cities undergoing population and economic growth, the only long-term solution to this geometric problem is to enable people to get around using less space than cars require — through walking, cycling and mass transit. We discussed the benefits and limitations of the fixed-route system – it's clear such a system provided consistency in time and place (to get on and off), and to a certain extent convenience, but not completely. Flexibility is not what a fixed-route and fixed-time bus service system can offer. We have all experienced times when the bus is very empty or extremely packed, which means efficiency is best optimised at the bus-route level, but not individual bus level, since that bus is unable to respond to dynamic demand and traffic situations immediately. We all have all been in situations when there are only a few passengers in the bus and yet, the bus still has to plough through the entire fixed route, picking up no passengers along the way. The motivation was how to optimise the bus service by allowing the passengers and bus drivers to respond immediately to dynamic demand and traffic situations, not unlike a taxi that you can flag anywhere, anytime, and it will take you directly to your destination. Needless to say, they came up with a massively all-demand-reponsive system identical to the one promoted last year by Gensler Associates, to which I responded (perhaps too colorfully) here. The idea is that now that you have a smartphone, the transit line should twist and turn to meet chase everyone's speciic need and that somehow this will be more efficient. As I said in response to Gensler, there's little to fear from this dystopian vision beause it's mathematically impossible. In a place as crowded as Singapore, well-designed scheduled fixed routes are not just efficient but liberating. They're efficient on a large scale despite routine under- and overcrowding because they follow straight paths that thousands of people find useful at the same time. They're efficient because people gather at major stops where they board and alight in large numbers that are impossible in any demand-responsive form. Frequent fixed routes are liberating because they're there for you when you need them, just as subways are, so that you don't have to wonder whether some automated system will approve your request for transport. The all-demand-responsive vision can mean one of two things: (1) large buses that carry large numbers of people on complex variable routes, changing its route in response to every beep of desire from each of 5 million phones, or (2) fleets of very small vehicles each serving a few people on a more direct path. Vision (1) is a hellishly circuitous system to ride any distance on, while (2) is a vision of vastly more wasteful use of urban space, as people who are now carried in a space-efficient way are converted to a space-wasteful one. Vision (2) also requires either driverless technology or extremely cheap labor, which is why it only happens at scale in low-wage developing countries. No, Singapore has built its success on subways, and is developing fixed, infrastructural bus lines that work more like subways. 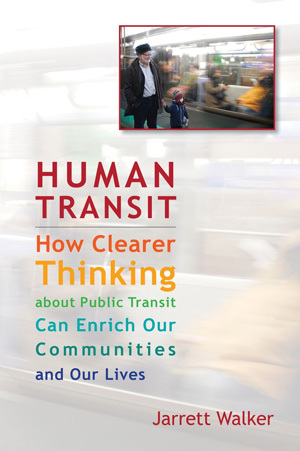 Please don't call yourself a transit visionary until you've grappled with the facts and possibilities of transit network design, by reading a book, say, or taking a course! Singapore’s weekend Straits Times was full of debate about the recent fare system changes, which finally eliminated fare penalties for connecting from one service to another. One of this blog’s earliest fans was Paul Barter, a transport policy scholar based at the National University of Singapore. Paul’s blog, Reinventing Urban Transport, is always worth a look.